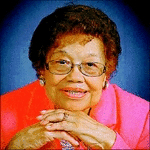 Obituary for Frankye Dorothea Dowe Warren | McGuire Funeral Service, Inc.
Frankye Dorothea Dowe Warren, 92, entered into eternal rest with her niece Judith Roberts by her side at Washington Hospital Center. She was a retired educator of 31 years from Samuel Wheatley Elementary School and an active member of Asbury United Methodist Church. She was preceded in death by her husband of 62 years, John B. Warren and is survived by devoted niece, Judith D. Roberts and devoted grand-nephew, Brandon J. Roberts; great grand-niece, Tyler Wilson; brothers, Douglas Dowe (Lillie) and Alfred Dowe, Sr.; sister-in-law, Altha Dowe; nephews and nieces of the Dowe, Roberts, Hopson, Drewery, Snell, Warren, Carrol and Kinslow families and a host of other relatives and friends.